I'm no pretty face. Clearly. But I am a good guy. My clients enjoy my work ethic and dedication. I have a very strong work ethic and strive to provide excellent service for my clients. I've worked for some really great clients... and some "ok" clients. Goes with the territory I guess. Tildeworks was founded to create a customized content management system for digital agencies, enterprise organizations and restaurants. The Tildeworks platform is still in use by several clients, though is not in active development. 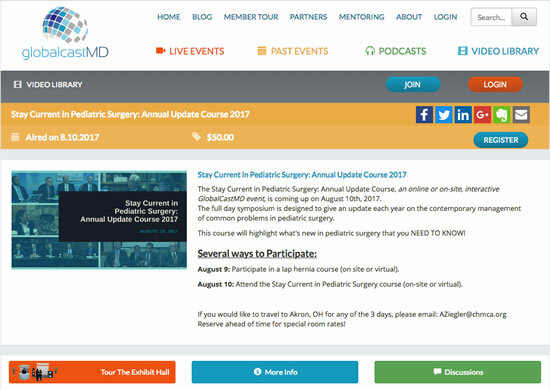 Our clients include GlobalCastMD, a global leader in medical education broadcasting via video and audio, and the Cohn Restaurant Group, a family run restaurant company with 20+ locations, each with it's own unique site design. 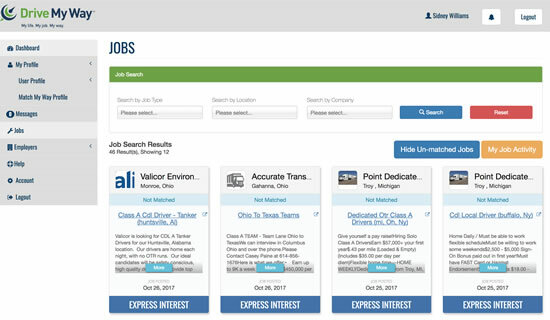 The Drive My Way application compares driver preferences and attributes to trucking employer preferences and job attributes to provide a calculated match. It's like a dating service for truck drivers and trucking companies. I was recruited by Drive My Way to take over development of their Laravel PHP based system. Initial responsibilities were to simply provide basic updates, but quickly evolved into heavy development of new features and redevelopment of many of the applications core systems. 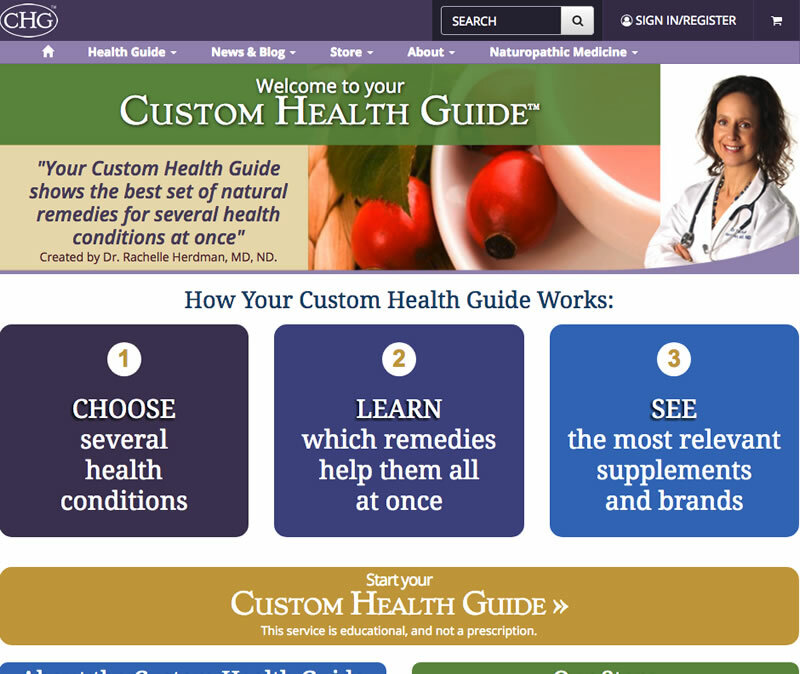 Custom Health Guide is an entire interactive application that allows users to generate a customized guide to follow covering nutrition, exercise and reading materials regarding specific health conditions they choose, followed by an online store to purchase supplements. The store is programmed to provide scheduled reminders to re-order, follow up information to consult with a doctor as well as recipes that include ingredients that provide benefits to their given health conditions. 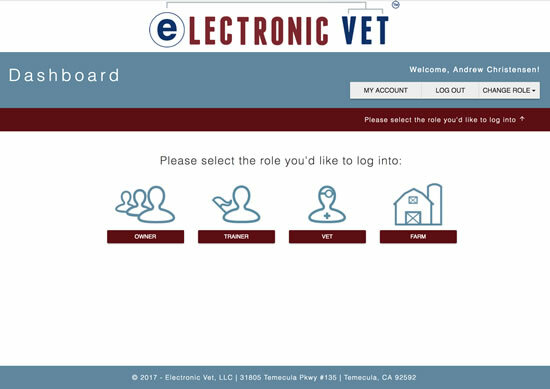 Electronic Vet is an application for horse owners, trainers and farms to database their horses, and then invite their vets to participate. The vets then can enter the horse's vaccination records. 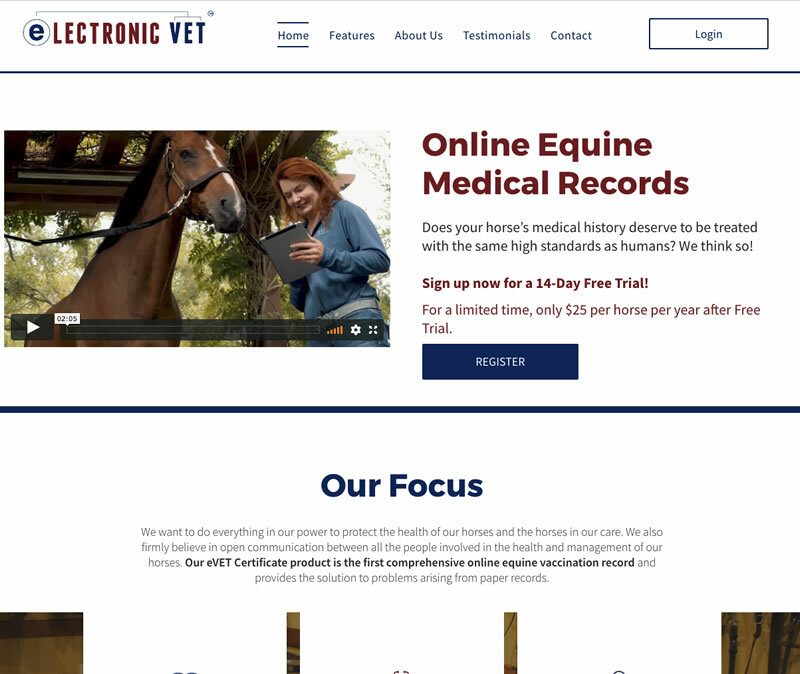 Horse owners then have a digital vaccination record they can print or access on their mobile device to provide to exhibition and competition shows. Initially I took over development of a poorly built system and nursed it along until we were able to launch a complete rebuild of the application using Laravel to stabilize the system and allow future expansion. Symplur is a health care social media analytics system. They take social media firehose and monitor it for thousands of specific keywords, users and hashtags, storing appropriate data by the millions of records. The system then provides clients with powerful tools to analyze that data for various research means. As the primary developer, I came into the company to continue the main development of the system, including the front-end graphs, back-end database queries and interface components. Other opportunities came along, allowing me to move on from this position. Profits 4 Purpose is a company that endeavors to provide companies and organizations with the ability to engage their employees in community-based activities and charitable giving. The application was initially built on Code Igniter and as a team, we rebuilt many of it's more critical components in Laravel. During my time there, we successfully launched large campaigns with major companies such as Blue Cross of Massachusetts, Abbott, GoPro and Hyatt. It was a great experience working with the company. During my time at WWU, I worked for the Art department in the wood and metal labs as well as worked for the food service (operated by Marriott). I volunteered in the Engineering Department and graduated with a degree in Industrial Technology. All of the clients listed here are wonderful clients and each one of them will speak well of the work I've done and continue to do for them. 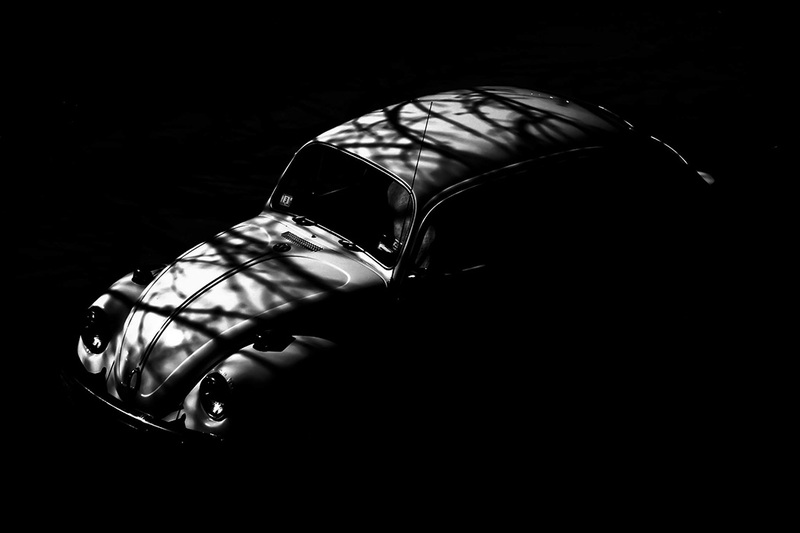 For marketing purposes, the front site was done in Wordpress, but the driver and company application were built in Laravel. This has been a big project. 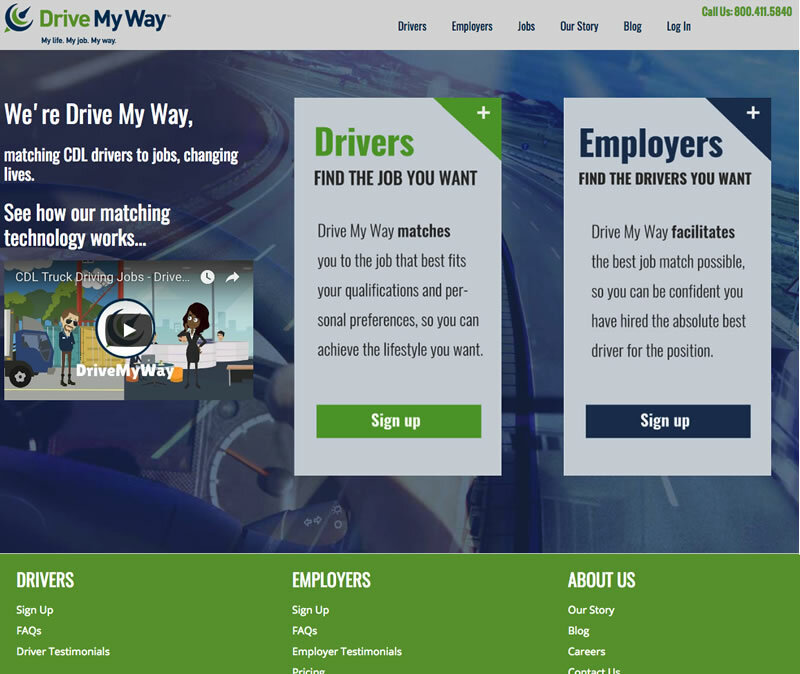 Drive My Way has a patented process for matching truck drivers with available jobs based on they types of work they are qualified for, company benefits, desired jobs and more. This helps trucking companies find drivers that will stay with the company longer than drivers typically do. 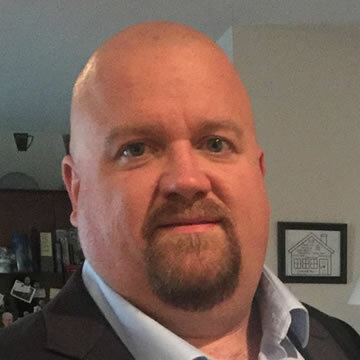 Since joining the company, I've migrated them from costly Rackspace hosting to a more affordable Amazon stack, integrated several AWS technologies, integrated several analytics packages, 34rd party API's for CMS, subscription payments through Stripe, a new mobile interface and much more. 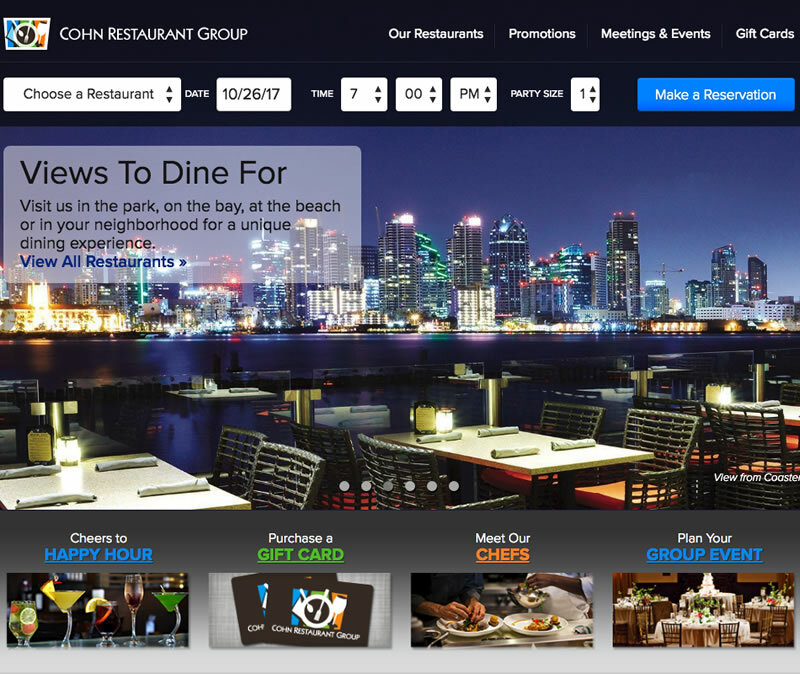 I have been providing web development expertise to the Cohn Restaurant Group since 2008. Their site has evolved over the years, but I redeveloped it on the Tildeworks platform (built on Code Igniter) in 2013. Prior to that, it has been on Wordpress for years (a decision made prior to my involvement) and had suffered many successful hack attempts. Since going live on our platform, it hasn't be compromised a single time. The business team at Cohn Restaurant Group is a great bunch of people and they have been extremely happy with the level of service I have provided over the years. Each of the 20+ locations has a unique web presence, yet all of them are in the same site. One panel to control them all. As with many projects, this started out as a project built by another developer (or several in this case) that couldn't quite do the job. We kept the old code going as long as we could and just recently we completely rebuilt it from the ground up. It's a fairly complex architecture that involves numerous user roles and many-to-many relationships in the system, along with notifications, subscriptions and payments. I built this on Laravel but used the PyroCMS platform to accelerate the build process. The front end website was done by another company on Duda Mobile for marketing purposes, which left me with the responsibility of managing just the application build. Dr. Rachelle Herdman came to me through referral after a terrible experience with another web development company. They promised the world and could not deliver even half of what they promised after charging her a lot of money. I took on the project and completely rebuilt this application on Laravel. I had to build not only the health guide generator, which allows users to select several health conditions as well as enter information about themselves to obtain a guide to nutrition, exercise and educational materials, but also had to custom build an ecommerce application as part of this. 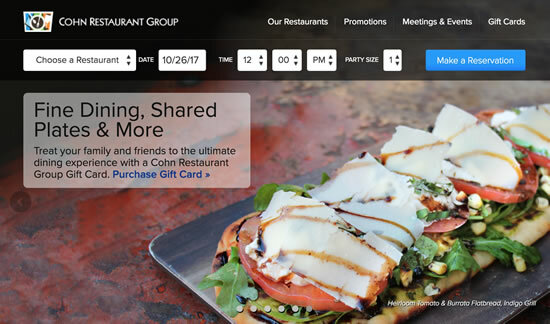 Originally, the store was hosted on Big Commerce but lacked the ability to send regular email updates out, such as follow-ups on their health conditions with suggestions of things to discuss with their doctor, flavorful recipes that fall in line with managing their health conditions and re-order reminders. So, I custom built these notifications into the application. GlobalCast MD's system was originally built on Ruby on Rails and while the framework had it's strength, it was quickly becoming unmanageable and costly to operate at the load necessary for the live broadcasts. 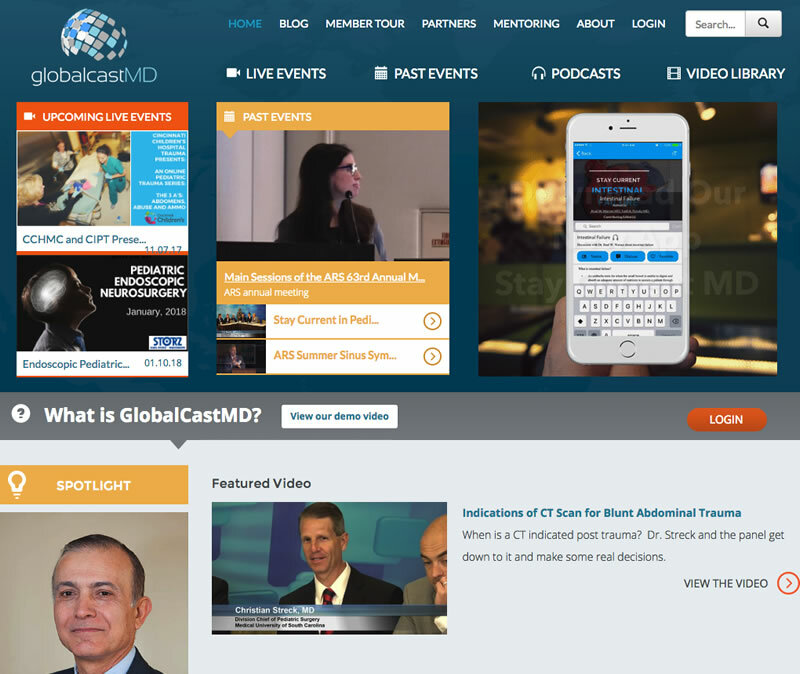 GlobalCast came to me and I rebuilt their system on the Tildeworks platform. GlobalCast can create many events in the system, schedule them for broadcast and charge viewers for the events at varying rates. We built numerous custom modules to manage purchases, discounts, custom registration data, broadcast the live video events with live chat, polling and more. Additionally, the live events have online exhibition hall booths for the sponsors of the events to showcase their products to the viewers. 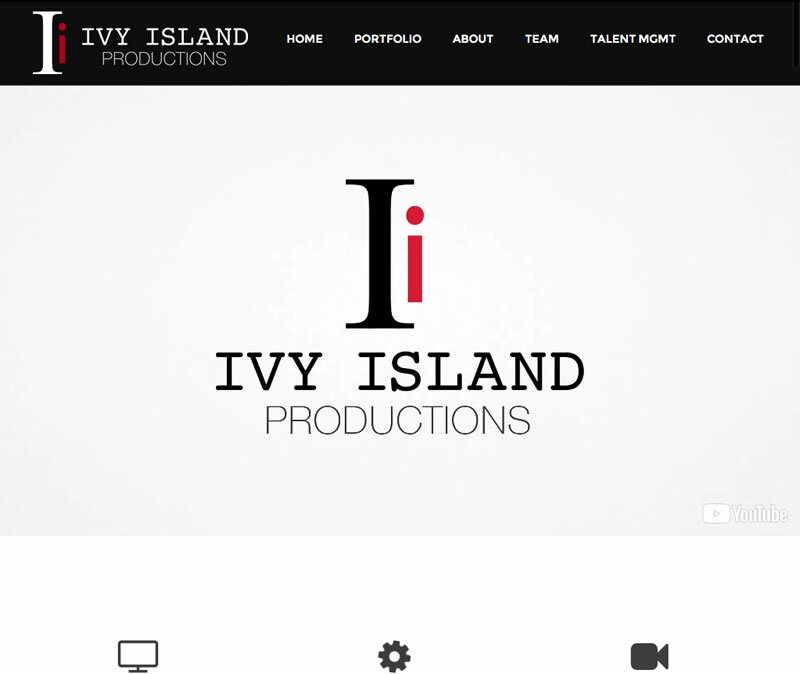 Ivy Island produces high quality videos for the Internet, Social Media and Television. They specialize in documentaries and commercials as well as animation. They had an old website that was getting far behind in updates and was built as basic HTML. The CEO needed a clean and modern design. Per request, I rebuilt the site using updated content on Wordpress allowing them to keep their site up-to-date and did it all in a one-page design, integrating a clean video player, security plugins and more. 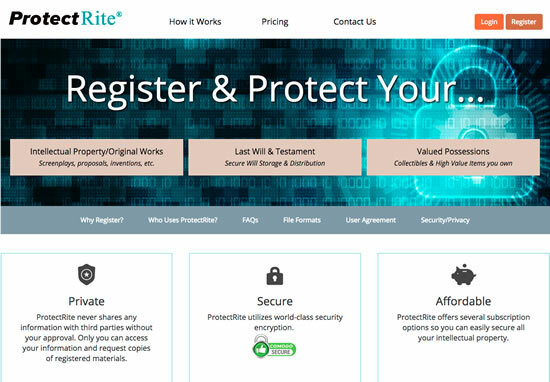 ProtectRite has been in business since 1994 and until recently was using the same website they launched with back then! Since they launched they offered the ability for creatives to upload their creations in order to have a date stamped record, protected by affidavit. In the rebuild, he wanted to expand the offering to last will & testaments, with notification to beneficiaries, and to possessions, for insurance records. I rebuilt the system in Laravel using PyroCMS and brought over all previous records to maintain them in the future. 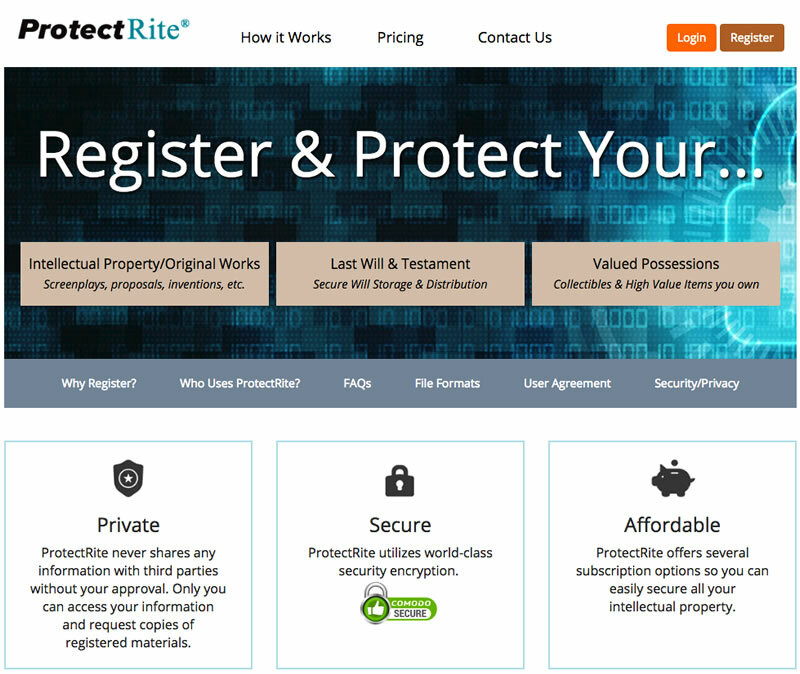 With the newly launched site, they can now partner with insurance companies and attorneys to expand their offering. 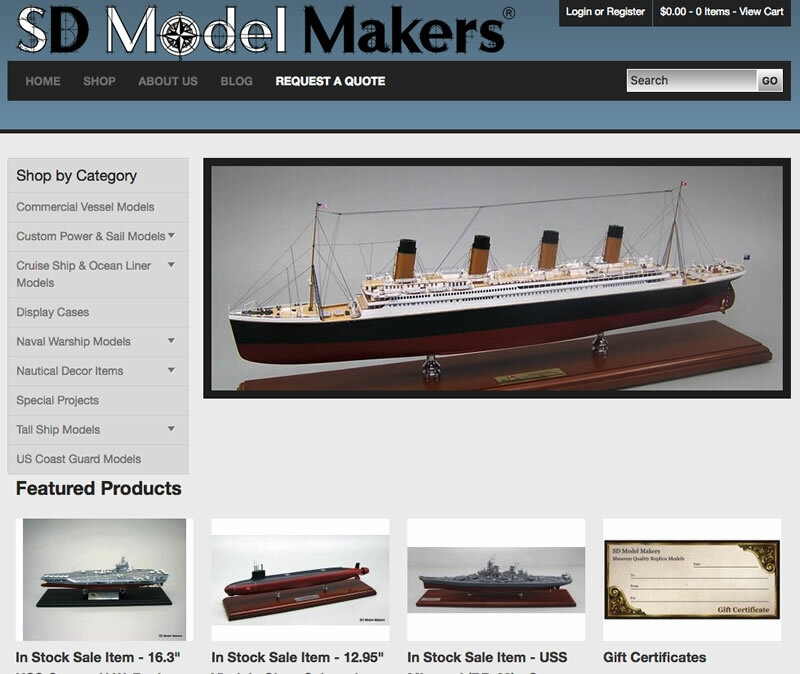 SD Model Makers is a custom model maker, specializing in scale models of naval ships, yachts and more. 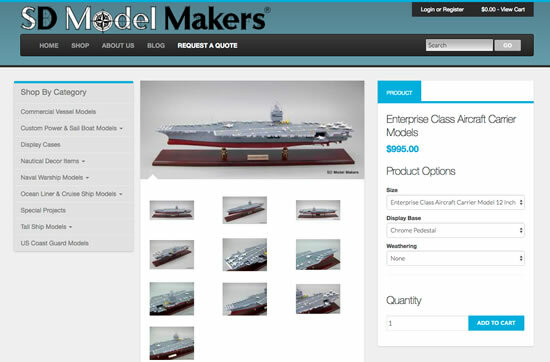 In 2014, they were referred to me and I built them a completely custom new e-commerce site on Lemonstand (v1). Recently, due to the sunsetting of the version 1 of Lemonstand, we have rebuilt the site on the newer Lemonstand cloud-based system. 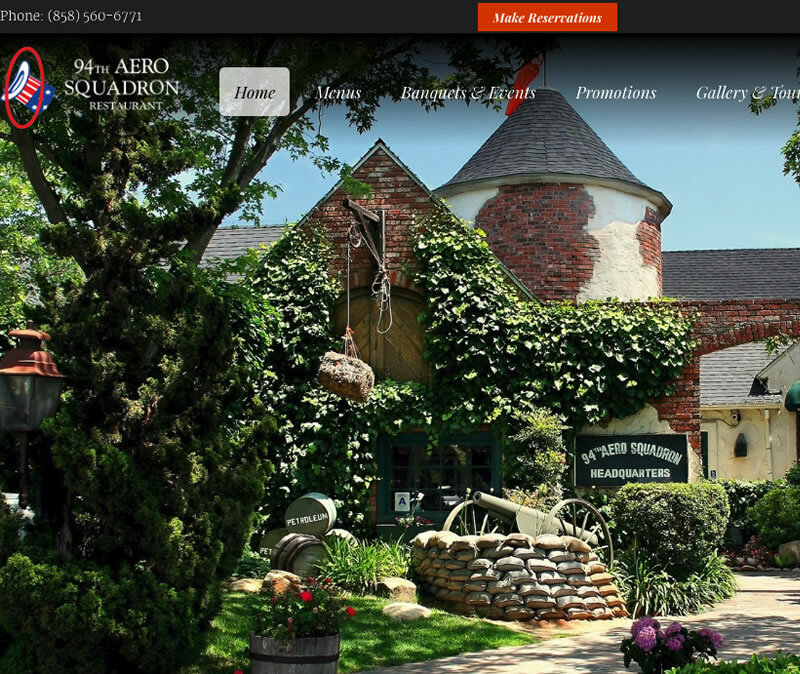 94th Aero Squadron is a restaurant franchise and the owner of the San Diego location (who is also the owner of the Butcher Shop steakhouse in San Diego) enlisted me to build new sites for both of his restaurants. 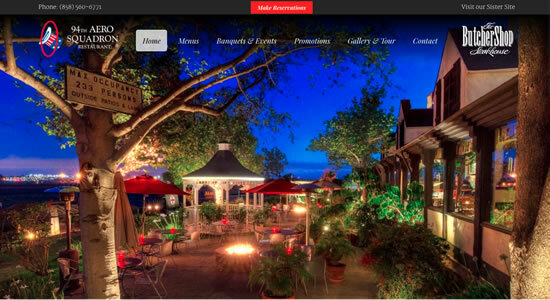 I built the sites on the Tildeworks platform and interfaced with Single platform for the menus. Both of the sites share a similar layout. The old websites for these restaurants were terrible html boilerplates built by the local newspaper. Now the sites are creative and eye catching. 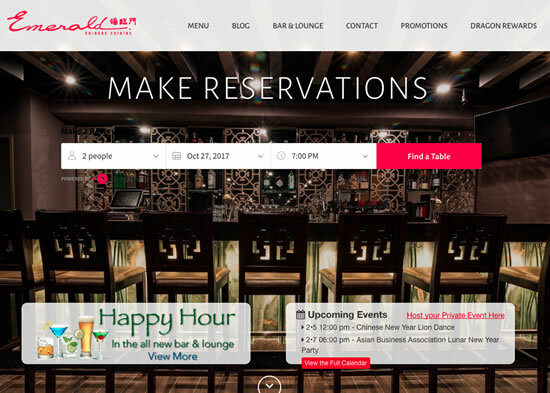 Emerald Chinese Cuisine began a big remodel and aggressive marketing campaign to bring a fresh, younger vibe to the business. Part of that was to create a completely new website. 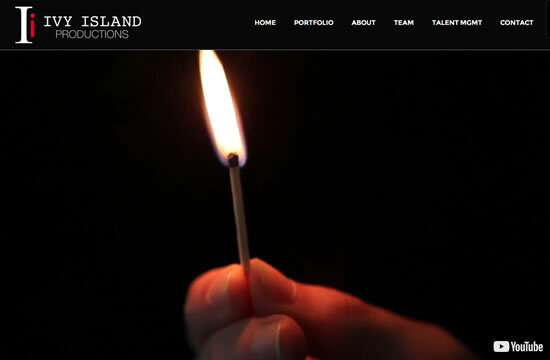 With provided materials, I created a vibrant new site on the Tildeworks platform. 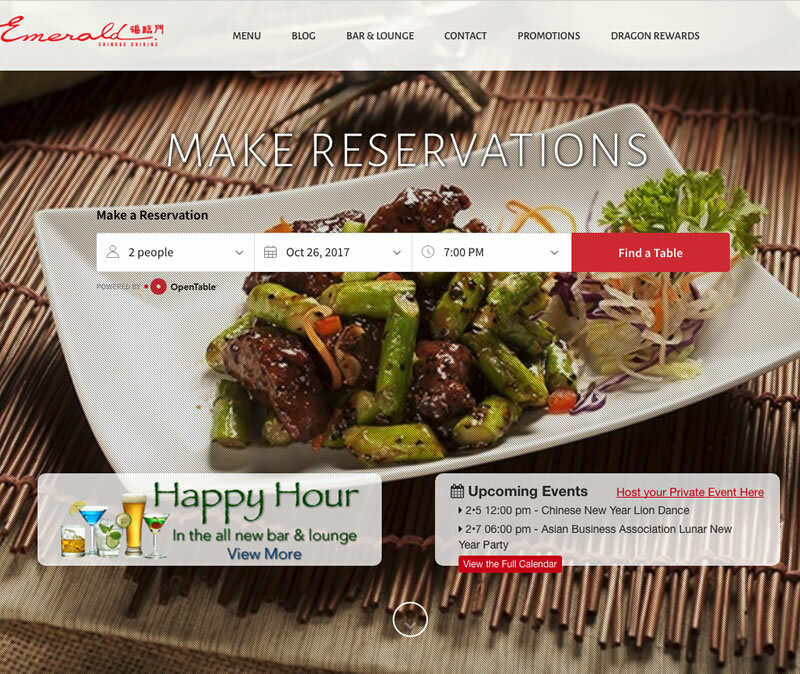 This project involved integrating the Open Table reservation system as well as SinglePlatform's menu system. Other than this site you are on, I do no advertising. All my client work comes through referral from my wonderful clients. By "website" I refer to basic informational based websites, typically used to convey product or service information and involves little to no interactivity. I can build any size website from one page to hundreds of pages. I can build you a basic static content site, or a larger, more professional, content management system based website. Give me a call to discuss your needs. Got a product to sell? A subscription service? I can help build a power e-commerce application using the latest in high security standards and cutting-edge shopping cart technology. Your e-commerce project has a uniqueness that needs a professional, reliable and easy to maintain solution that is custom tailored to your needs. I can help you figure out the best approach to do it right the first time. This is where it's at. If you don't just need a basic website and your needs go beyond e-commerce, I am here to help. I specialize in making client's dreams come alive. I can work from concept to completion or take over and fix what someone else has started. Just about anything is possible and I am happy to work with you to make it happen. Please contact me to discuss your project. I have spent more hours fixing someone else's work than I have on building new products for the first time. Don't make the mistake of using an outsourced, overseas developer to save money. You'll end up paying more in the long run to pay someone like me to fix it. Please contact me now to avoid the wasted time and money.